Drama seems to follow red smartphones. The internet nearly blew a gasket when Apple released a red iPhone 7 with a white front, and now OnePlus is taking some heat. The new Lava Red 5T comes with black bezels, not repeating Apple's mistake, so why are people mad at the Shenzhen-based company? Because Lava Red is only available in China. 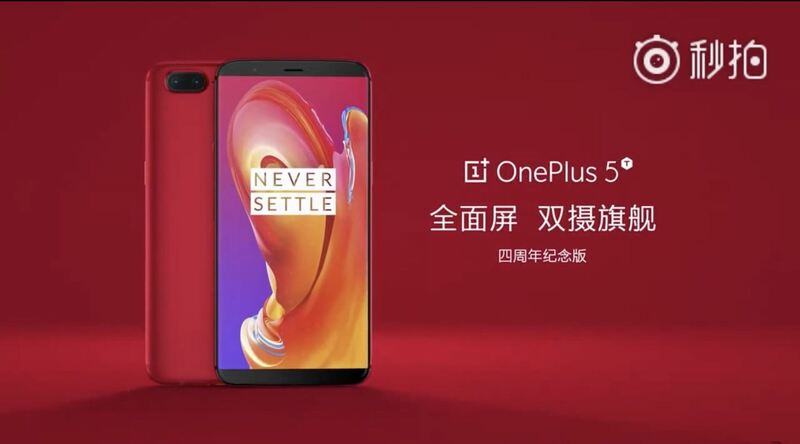 When OnePlus announced the 5T, they revealed that while the device came in two different spec models, it came in only one color — Midnight Black. That sentiment remains true, so long as you aren't from China where the Lava Red variant was announced during a recent OnePlus event. FYI @oneplus, I want that Lava Red #OnePlus5T and I'm in Australia. Shame it's exclusive to China. ... Sad too, because I had already ordered one and would of liked this one. Only in China, f--- me sideways, I already bought one anyway. The Lava Red edition is only available in the higher-end 5T model, with 128 GB of internal storage and 8 GB of RAM. If released in the US, it would cost $559, which, if you take the temperature of the internet, wouldn't be much of an issue. You can't buy a red iPhone 7 from Apple anymore, but considering they started at $649 for only 32 GB of internal storage, the Lava Red OnePlus 5T is an incredible deal. We have reached out to OnePlus about this news and will update this story accordingly.